The Melbourne Graduate School of Education is pleased to introduce a growing suite of evidence-based educational software designed to support teachers and teacher candidates across all sectors of education, including early childhood, primary, secondary, tertiary, and vocational education and training (VET). All products in the educational software suite are developed in consultation with the local and international educational community in response to their and their students’ identified needs. Tailored modification of teaching programs. The products utilise technology to collate, analyse and assess an ever-increasing trove of educational information on both micro (individual) and macro scales. Assessments may also indicate intervention and other modifications to teaching practice and knowledge when appropriate. All products in the suite are developed by internationally renowned educators and academics within the University of Melbourne's Graduate School of Education, a world leader in teaching and learning. The Centre for Program Evaluation (CPE) is developing a set of online Educator Capability Assessment Tools (EdCAT) to support the continual evaluation of teacher skills and capabilities, from the time a prospective teacher candidate first applies for entry into a teacher education course through to the advanced levels of professional practice. TCAT uses a sophisticated mix of data, methods, analysis and interpretation to enable informed teacher selection and development. 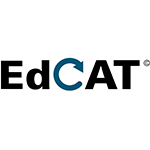 TEXTCAT uses a secure web-based platform to enable teacher accreditation authorities and educational institutions to assess a graduating teacher candidate’s pedagogical knowledge and skills. TEXCAT supports teacher recruitment processes, assists initial teacher education (ITE) institutions in planning and refining course offerings, and can be used by graduating teacher candidates to inform their professional development pathway. 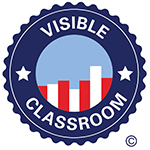 Visible Classroom enables real-time classroom teaching and student responses to be transcribed and analysed, to provide high-quality feedback direct to the teacher, together with relevant teaching metrics. The information is also stored in a cloud-based content management system for the teacher’s later use. In this way, teachers acquire a trove of lessons and other information that they are able to review, compare, analyse, modify, and develop further over time, as may be appropriate for changing needs and circumstances. The SMART::tests system (Specific Mathematics Assessments that Reveal Thinking) provides online diagnostic mathematics tests for middle-school students. It provides reports to their teachers about their current understanding, and flags the occurrence of common misconceptions. This information assists teachers in planning ahead so they can cater to the learning needs of their students. 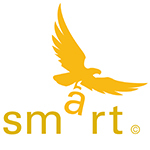 The use of the SMART::tests system has been shown to increase teachers' knowledge about their students’ learning. 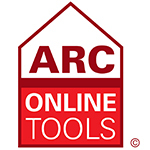 The Assessment Research Centre (ARC) has developed a range of online assessment and reporting tools (known as ARC Online Tools) that teachers can use to assess and receive feedback on the learning progress of their students. SWANs provides assessment, planning and teaching advice to assist teachers working with students with additional needs. C21 uses a set of collaborative problem-solving tasks to facilitate individual social and cognitive growth. Recommended for students aged 13 and over, the tasks focus on skills and knowledge needed by today’s students to become productive citizens of the technological age. A selection of the tasks are suitable for students aged 11 and over; prospective users are encouraged to seek advice. 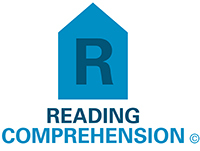 Reading Comprehension Tests comprises a set of ten reading comprehension tests for primary and secondary school students. The targeted tests report against a single learning progression that caters for the range of diverse reading skills within a classroom while also providing information about what each student is ready to learn next. 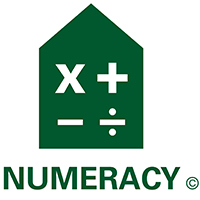 Numeracy Tests provides linked online multiple-choice tests for assessing primary and secondary school students’ numeracy skills. The targeted tests cover the areas of numbers, geometry, measurement, and chance and data. Students are placed on a learning progression ranging from basic skills through to sophisticated skills.